Another day, another podcasts startup attracting significant investment, amid the wider excitement around the spoken-word format. This time it’s a Los Angeles-based startup called Luminary, which is launching a slate of more than 40 podcasts including the likes of Lena Dunham, Malcolm Gladwell, Trevor Noah and Conan O’Brien as hosts. What’s more, the New York Times reports that Luminary has already secured nearly $100m of funding. The way Luminary has gone after some of the most prominent podcasters to create their next shows for its company mirrors what Spotify is doing – there’s something of a land-grab going on for anyone who’s proven their ability to engage listeners with this format. Luminary isn’t just a producer though: it’s launching its own app, which will offer an $8 monthly subscription for ad-free access to its entire lineup. The app will also have an ad-supported free section. Once the company officially launches (sometime in the first half of 2019, it says), its streaming app will be available as an $8-a-month, ad-free subscription version and free version with ads. Some of its shows will be existing podcasts moving over to Luminary as their new exclusive home, and others will be Luminary originals. Podcasting, of course, has its own roster of A-list talent best-known to people who wear earbuds a good portion of the day. Three such figures are making their next shows for Luminary: Guy Raz, known for How I Built This and the TED Radio Hour; Leon Neyfakh, the creator and host of Slow Burn; and Adam Davidson, the creator of Planet Money. While it is not yet a billion-dollar business, podcasting pulled in $514 million in revenue in 2018, according to the Interactive Advertising Bureau. Spotify has recently moved aggressively into the sector, buying Gimlet Media for $230 million. This sounds like yet another standalone app that is going to turn podcasting into a silo so they can monetize the content. Why not just build a payment system on top of what is already there? They could build less and capture/help out a much larger portion of the ecosystem. I suspect that RSS will not be involved in this process and one will have to use their app instead of just any app. An interesting looking service to be sure. Reminds me a bit of some of the functionality of Jeremy Keith’s Huffduffer, but it’s also a social silo of sorts for listening related content. It allows you to bookmark podcast episodes to listen later and includes an RSS feed for those so you can subscribe directly to your feed in a podcast player. It also does listen clips and comments. Sadly it doesn’t look like its got listen posts to allow you to keep track of what you’ve actually listened to. It does have an API for those who want to play around with it though. I’m curious what folks like Kim Hansen, Ben Werdmüller, or Erin Jo Richey think of it. Are there better small tools out there? 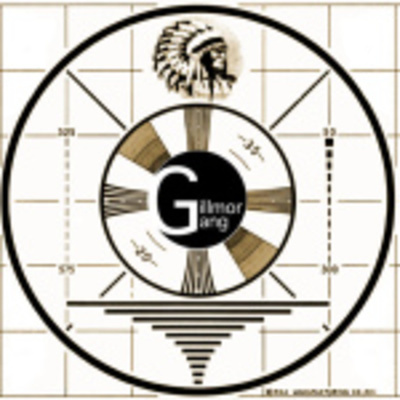 I’ve been getting back into Gillmor Gang episodes from the last year and noticed there’s a new shorter offshoot called Gillmor Gang X series. Steve has apparently taken to Anchor to put out slighly shorter episodes. You’ve got to love that just a few minutes into the show he mentions RSS and says (somewhat ironically) that as of six minutes ago we now have an RSS feed. Of course that doesn’t mean that he’s bothering to have any sort of feed for his primary show which still eschews RSS. Given his long term interest in the music business and watching what the deans of the music business are doing with respect to distribution, I’m surprised that he doesn’t want to own and control his own masters and their own distribution. Perhaps the ease of recording and distribution on platforms like Anchor.fm (for this show) and TechCrunch for his other show is more than enough? They do discuss in the episode that the company is one of John Borthwick’s which may have prompted this series of experiments. In any case, this seems like an interesting shorter format with fewer guests, so I’m interested in seeing where it goes. The piece missing from this is the getting over the inertia even if you’ve got all the tools. Sometimes thinking about a microcast of 10 minutes or less can help one get over this mental speed bump. ❤️ EatPodcast tweet: Proposal for the book of Our Daily Bread is on its way to publisher.